Good afternoon and happy Monday. 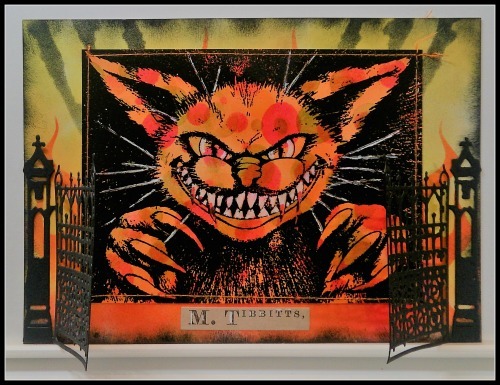 It's day 2 of our 31 Days of Halloween over at the Lost Coast Portal To Creativity, and also the launch of our new challenge, and this month it's Animals. Mmm so how do I combine Halloween and cute furry animals - meet Mr Tibbitts. I started by making a very simple background with glossy card and Stayzon inks. 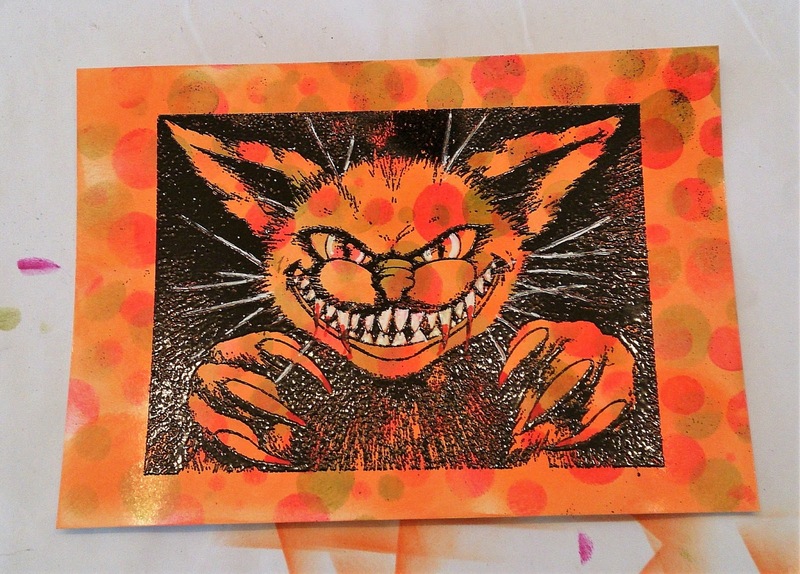 Then stamped Cheshire Cat and embossed him in black. 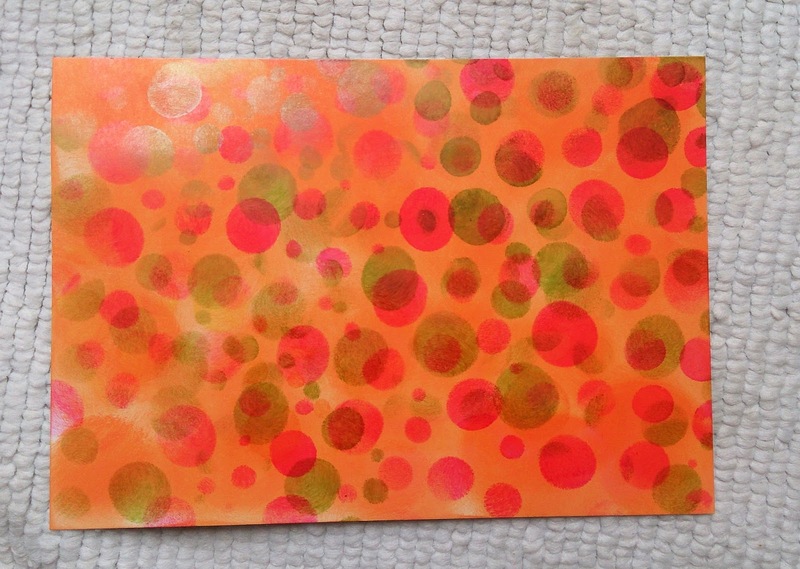 The background has been stencilled, and I've added a die cut and a Tim Holtz sticker. Don't forget to visit the Portal everyday for new inspiration, and also join in with our challenges. I'm entering my furry friend into the Simon Says Stamp Monday challenge A Walk on the Dark Side. Wow, this is spooky cool! 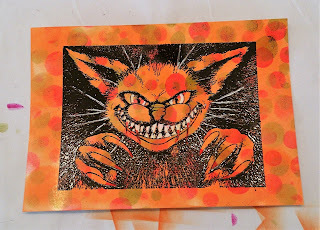 I love the background you created and how it shows through the Cheshire Cat. Awesome! Thanks for joining us on the Simon Says Stamp Monday Challenge. wow he’s scary isn’t he.......reminds me of one of mine that’s just been told their treats have run out! !